Thanks to the folks at Uprinting.com, I am able to give away 250 die cut business cards to one of my lucky readers. Business cards have developed from plain and boring to a more modern style. They offer many styles that include rounded corners, square cards and slim cards. Check out all the cool business cards that they have to offer. Uprinting has many templates to offer but if you are very creative you can design your own using their easy to use tool.They even provide an online proof so you know that your cards will be just the way you like them. Size- 2 x 3.5”, 2 x 2” (square card) or 1.75 x 3.5” (slim card). Design- Rounded Corners, Leaf, Rounded One-Corner, Half- Circle Side, Circle. Color: 4Color Front, Blank Back; 4Color Front, Black Back; 4Color Both Side. This giveaway is open to US residents 18 years and older only and will begin on 9/25 and end on 9/30 at 11:59 pm Eastern time. All entries in one comment please! +1 Leave a comment with your email so I can contact you. 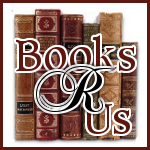 +2 For Liking Books R Us on Facebook. +2 For tweeting about the contest(please leave link) Use share button below. Disclaimer: I will be receiving 250 Die Cut Business cards from Uprinting.com for hosting this giveaway.